OVH has a big discount for all VPS models including VPS SSD, VPS CLOUD, and VPS CLOUD RAM. You can register now for getting the price only from $3.35/month. Pay annual then you will get saving $13.44. OVH’s VPS SSDs are quite cheap, so it’s rare to get a discount like this, so try the VPS SSD. 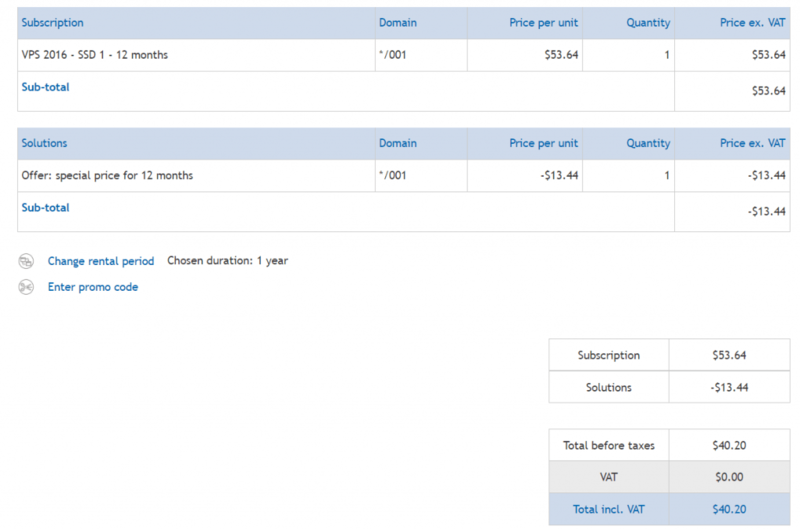 VPS CLOUD is based on OVH’s Cloud platform, which costs a bit more than the typical VPS. OVH is among the top VPS providers to use when they want to deploy satellite site system for SEO.